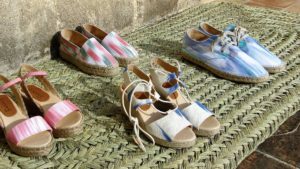 THE SUMMER BEGINS· DISCOVER THE NEW COLLECTION OF ESPADRILLES 2018, FROM TEIXITS VICENS. Surely you are already preparing your summer: where you are going to spend the summer, the trip, the luggage … and more personal things like the care of your hair, your skin, your clothes, your body, your mind … You have to think about many things. We give you an advice. Start with your feet. 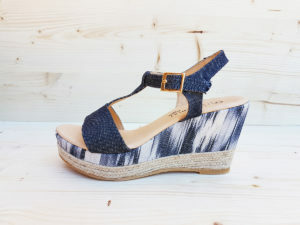 And do it with these wedge espadrilles , flat, raffia or esparto of Teixins Vicens. 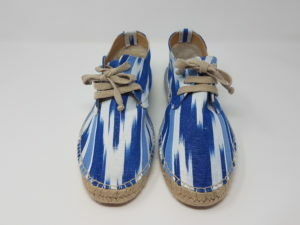 They are hand made, of Mallorcan fabric, made with the ikat artisan technique, 100% Mediterranean style, 100% Mallorcan. With them it’s always summer. The men’s models are very comfortable and combine with different styles.